This is especially true if you work away from home regularly as part of your job. Leaving your home unattended or your family there without you can make you feel a little anxious. To help avoid these feelings, it is wise to improve your home security as much as possible. This will not only put your mind at rest but give your home and the people in it the best protection from outside threats while you are not there to help. Of course, pretty much everyone will have the standard security features in place, such as robust doors and window locks. While this is great, there are some other very effective things you could also try out to make your home even safer. Most would-be burglars or intruders prefer to work in the dark. This gives them the natural cover they desire to go about their business undetected. To remove this and help deter them from your property, think about installing effective outdoor lighting. Flood light-style lamps can be particularly good and give out enough light to make intruders scarper when triggered. Most outdoor lighting set-ups are fully programmable, so you can have them come on only when motion is detected close to your home. Getting the best home security for when you are away with work is not all about hi-tech gadgets. Wooden window shutters are a great example of this – not only are they relatively inexpensive, but they also require no technical knowhow to install or operate. Putting shutters in place keeps your home secure by allowing you to close them when no one is there. This stops burglars from peering in to see what you may have inside to steal. Being able to close the shutters is also great for any family members who may be inside but want to get more privacy from outside eyes peering in. Shutters for bay windows are particularly handy as bay windows are often found at the front of houses, which is an ideal spot for passing scoundrels to look into your home. 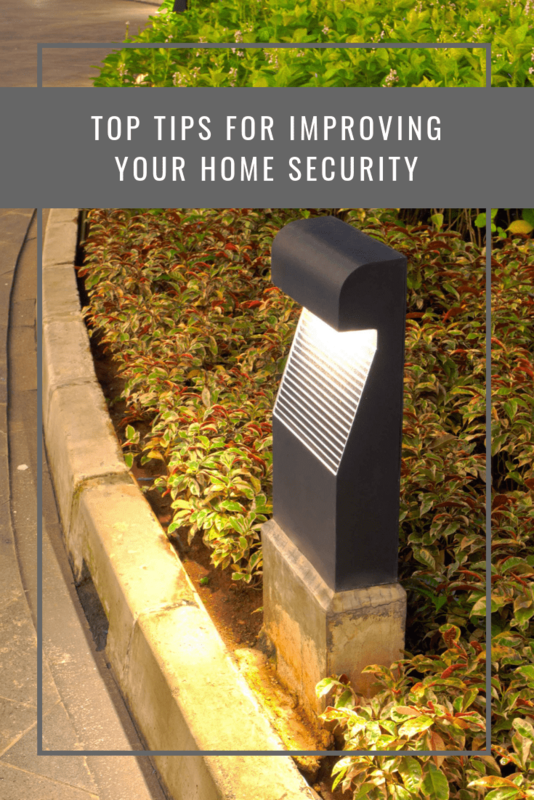 Although not every home security feature has to be hi-tech, there are some fabulous ones to think about. The smart doorbell is a great example and is ideal if you have a partner or children you worry about keeping safe when away. 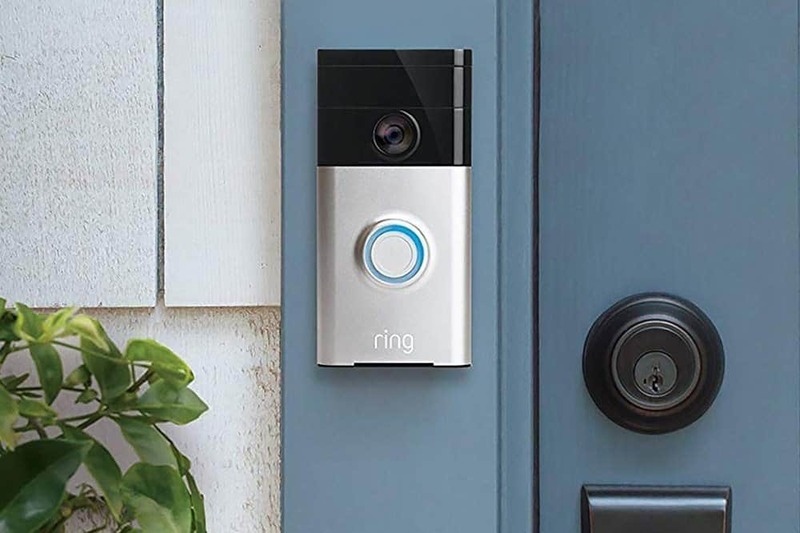 This works like a normal doorbell but connects to a smartphone so that they can actually see who is at the door before they open it. This is naturally much more secure than having to open it first and risk someone barging in. Most smart doorbells also let you speak and operate them via your smartphone remotely, so are also great if you live alone but want to keep your property safe. A burglar alarm is an old classic of home security but one that is still worth thinking about. Very often, the mere presence of an alarm box on your external wall is enough to make dangerous criminals leave your property alone. If they do try to break in, the noise and attention that the alarm will generate is enough to see them flee. Some people will even install an alarm box on their external wall but with no working alarm connected to it! This helps provide the visual deterrent that many burglars will react to and will make them stay away. Unless you live in a very isolated location, you will be able to leverage any good relationships you have with neighbours to assist. You could ask them to keep an eye on your property and any loved ones also to ensure that nothing is amiss. This allows them to not only contact you if anything untoward is happening but also to get in touch with the police if they spot someone lurking on your property who shouldn’t be. 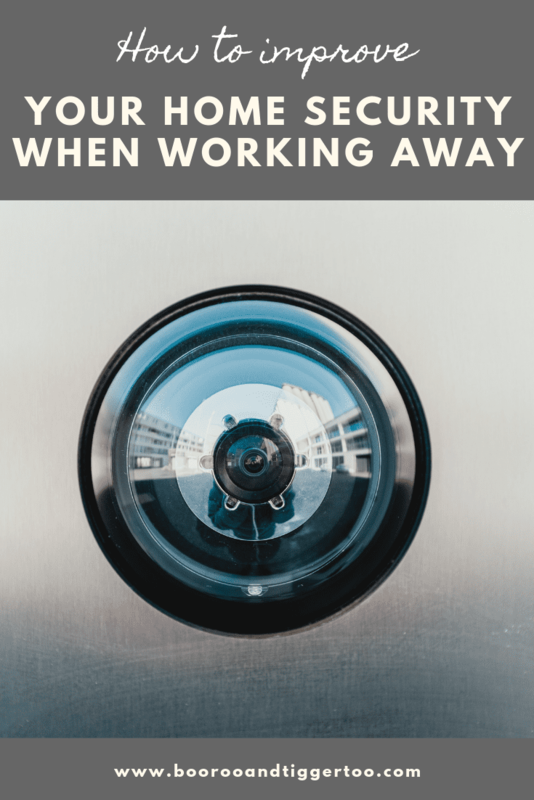 Whether you live alone and just want to keep your possessions safe or have family to worry about, beefing up your home security when away with work is a smart move. If you want some of the best and most effective ways to go about it, then the above should help. They will not only keep all that is dear to you safe but also mean that you can travel with complete peace of mind.